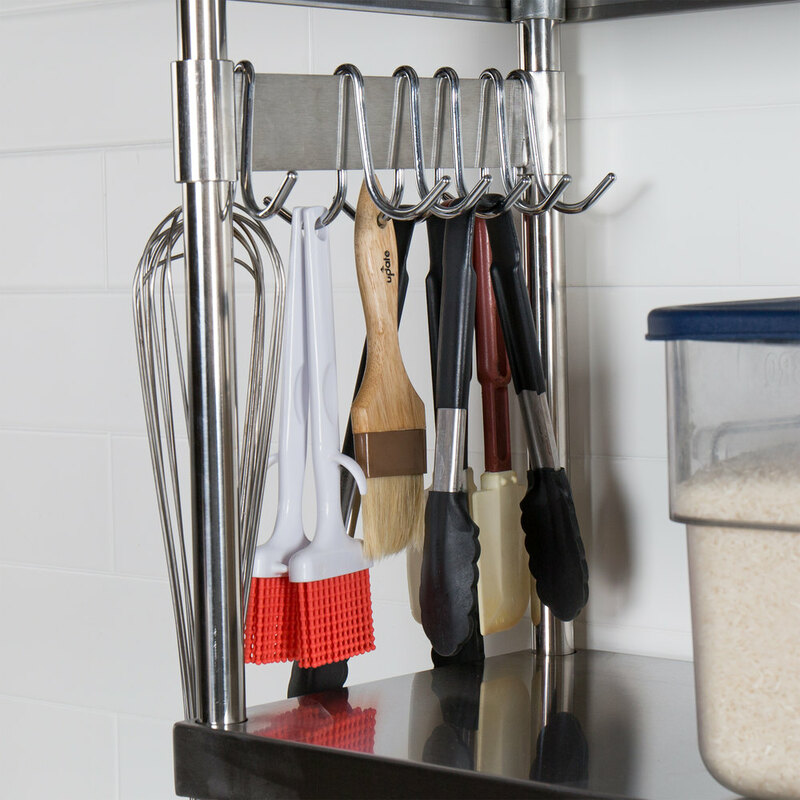 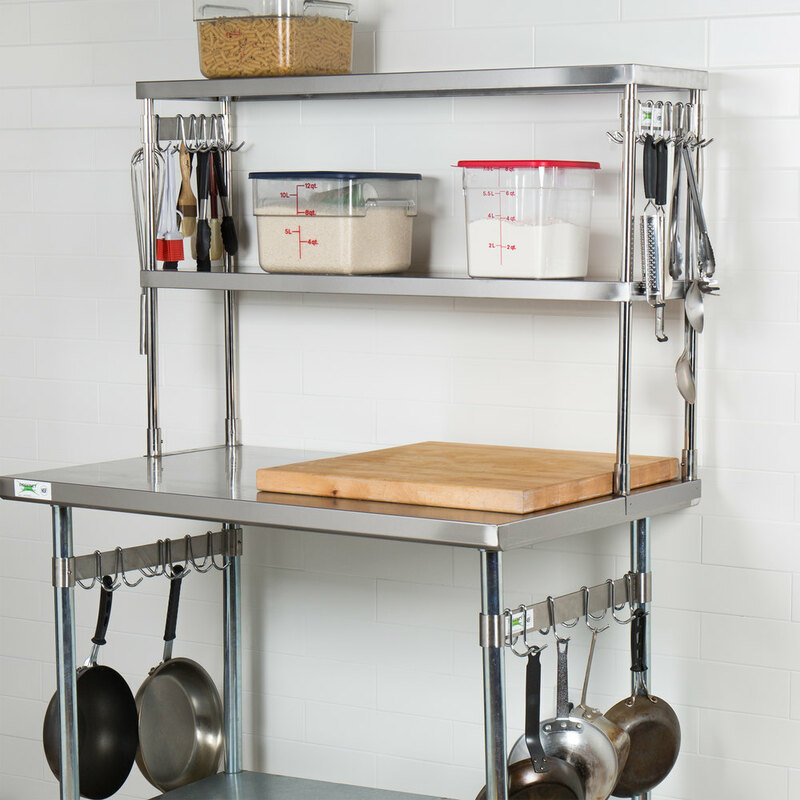 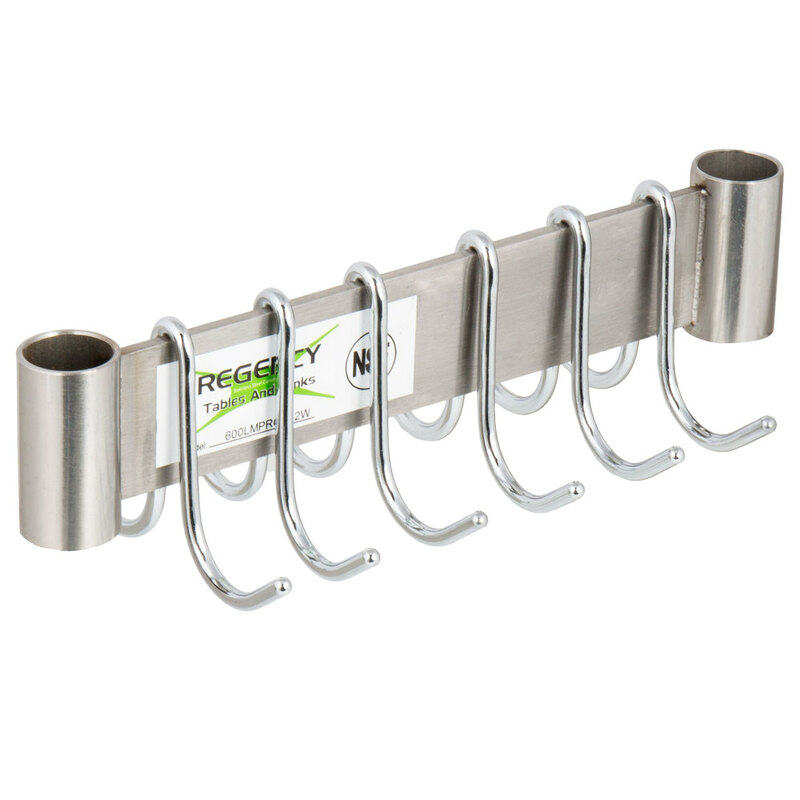 Store and organize your frequently used pots, pans, and kitchen utensils with the Regency stainless steel leg mounted pot rack! 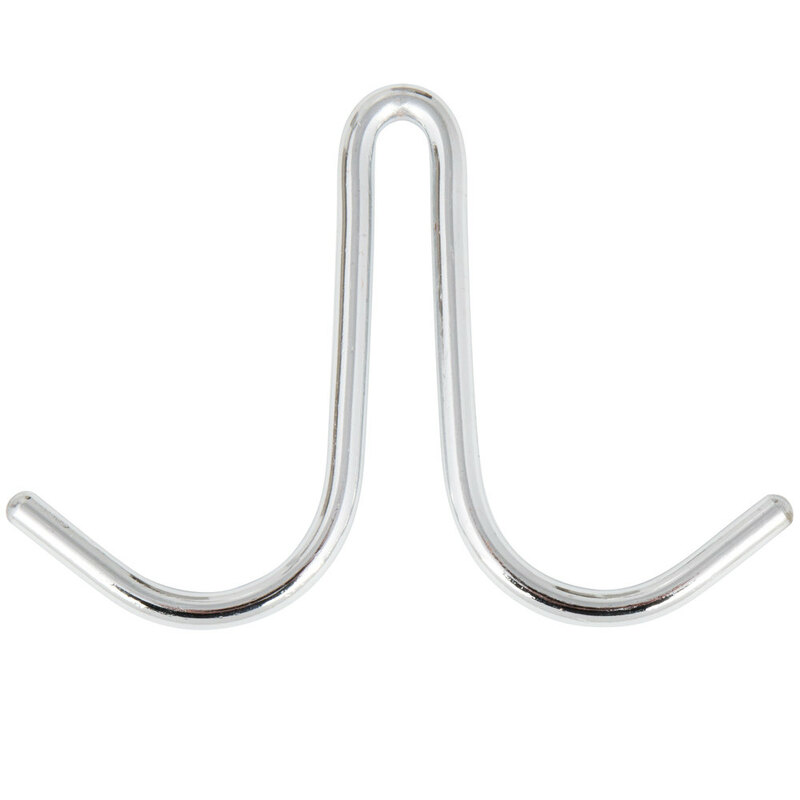 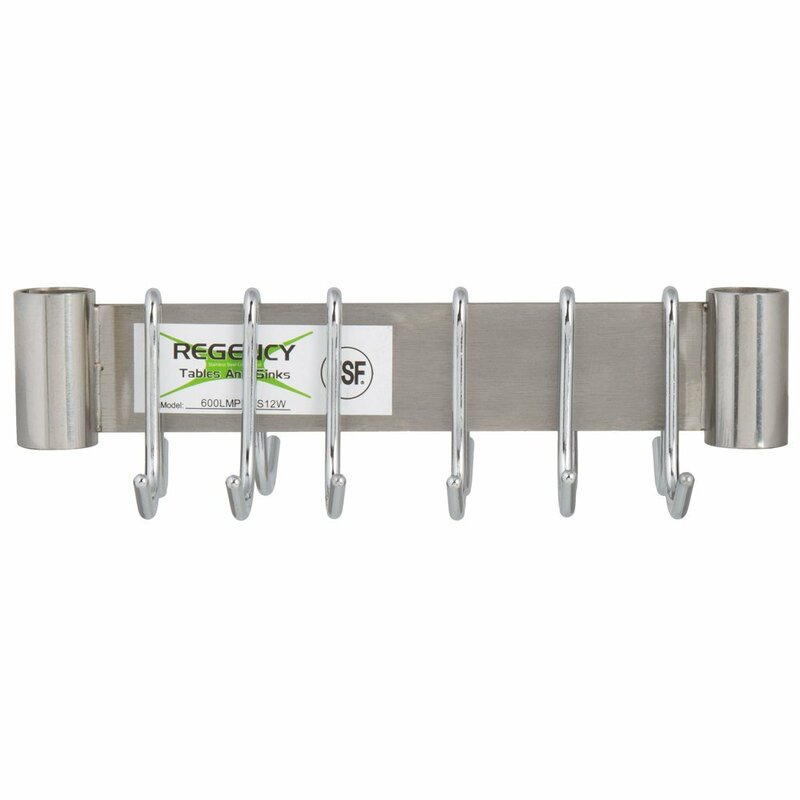 Designed for use with your 12" wide Regency overshelf, this pot rack lets you maximize the space on your unit while freeing up valuable space in your facility. 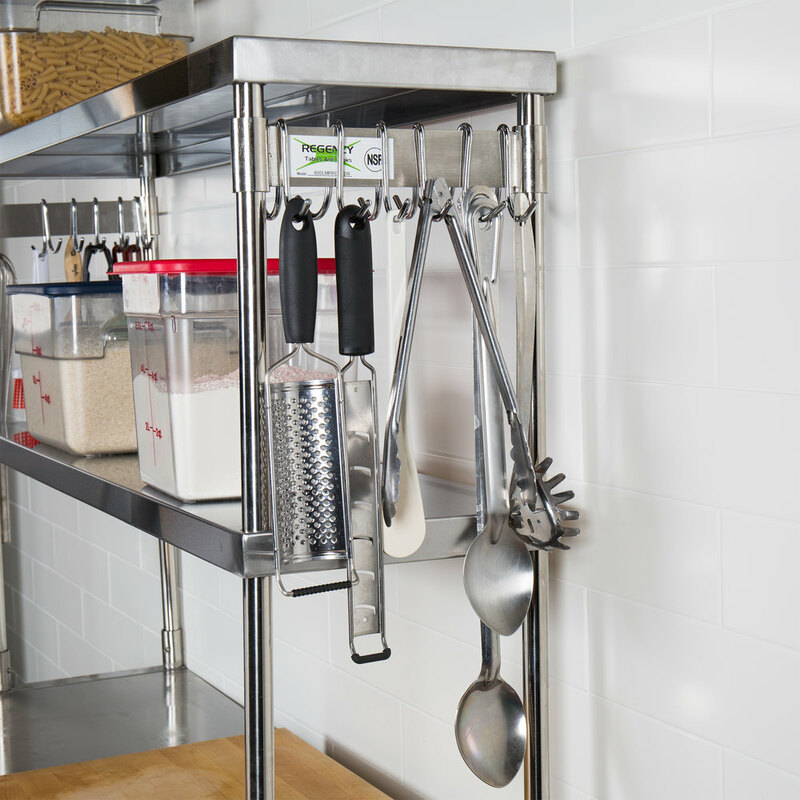 Its type 430 stainless steel construction provides exceptional durability and corrosion resistance, ensuring that it can withstand use in your busy commercial kitchen.